Over use of virtual meetings for just info giving. Telling people instead of engaging them. Over use of open forum processes for discussion – which either lead to ‘tumble-weed’ moments (silence) or everyone talking over each other – neither are effective. Very little genuine collaboration and decision-making. It doesn’t have to be this way! Virtual meetings can be useful, productive forums for collaborative working. We know this because that is how we design virtual meetings for our clients and for our own internal conversations. I think there is a massive opportunity for a platform provider to lead the way in developing virtual meeting design capability in the corporate space, and I don’t see anyone doing this. All the capability development and marketing seems to be about the technical capability of the platforms. There is little education about how to leverage them to achieve business results through group collaboration. At Meeting Magic we have been dedicated for over 16 years to making meetings work better. We help you leverage the power of meeting, both face-to-face and in virtual environments, whether on phones, Skype, GoTo Meeting or other platforms. It is not just about the technology. It is about the quality of the meeting conversations to improve collaboration. We can help your virtual meetings in a myriad of ways. Give us a call for a conversation about your conversations at +44 (0)1628 471 114 or complete the contact form and mention virtual meetings. If you are in the Asia Pacific region, including Singapore, Australia, China, Indonesia, Republic of China, Hong Kong, etc., give our APAC meeting facilitator and visual thinker a call at +65 8244 0244 or complete the contact form with a mention of your AsiaPac location. 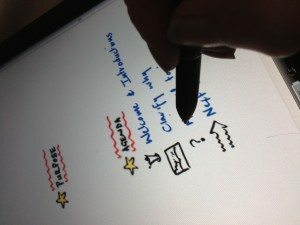 And remember that Scribing Magic supports your meetings in the virtual space as well as in your face-to-face meetings.